Last night as my friend I were hanging out on the couch, we came across the “Ten Commandments,” Cecil B. Demille’s 1956 schnuller of a movie, starring Charlton Heston and a very buff Yul Brynner, about Moses leading the people of Israel out of Egypt. Right in time for Passover. 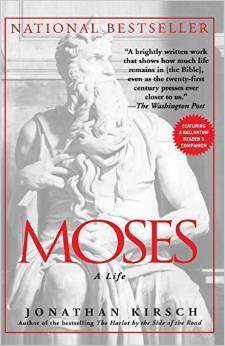 The existence of Moses as well as the veracity of the Exodus story are disputed among archaeologists and Egyptologists, with experts in the field of biblical criticism citing logical inconsistencies, new archaeological evidence, historical evidence, and related origin myths in Canaanite culture. Other historians maintain that the biographical details and Egyptian background attributed to Moses imply the existence of a historical political and religious leader who was involved in the consolidation of the Hebrew tribes in Canaan towards the end of the Bronze Age. The Egyptians were ready to let the Isreali’s go after the third plague, but God kept “hardening” the heart of Pharoah so that he could go through all ten plagues. Zipporah, the wife of Moses saved him from being murdered by his own God by quickly improvising a circumcision of her and Moses’ son, which for some reason caused God to break off his attack. After delivering his people from Egypt, Moses was punished by God and not allowed to enter the promised land because he “struck” a designated rock to draw water from it instead of “speaking” to the rock. For this reason Moses was not allowed to enter the Promised Land. Which leads to the following question: what kind of whackadoodle Deity is this Yahweh? Seriously, dude? Or, seriously, deity? We just have to add these little tidbits to the multiplicity of reasons why I cannot believe that this God, the purported God of Israel, is the God, or really any kind of God. Or at least any kind of God worth worshiping. If there is a God, or some kind of Higher Power, this whacky deity certainly isn’t the one. This entry was posted in Politics, Religion and tagged 10 commandments. Bookmark the permalink.